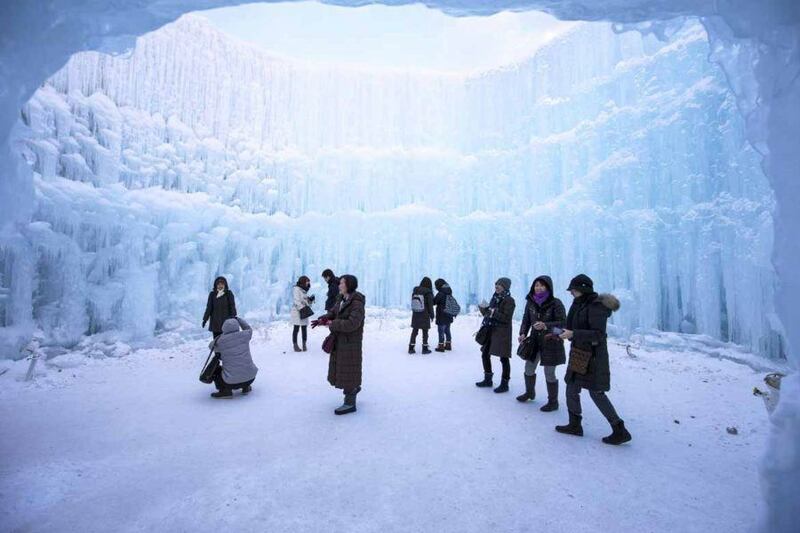 Winter Highlights is our northernmost tour, extending far into the wild expanse of Hokkaido, when it is at its coldest. Most people would be pining for the equator come February, but those brave enough to face a little cold will find the rewards grossly outweigh any chill factor. The sheer novelty of the scenery nearly brings a tear (or icicle) to the eye. For me, the highlights of this winter tour are without question its natural wonders. 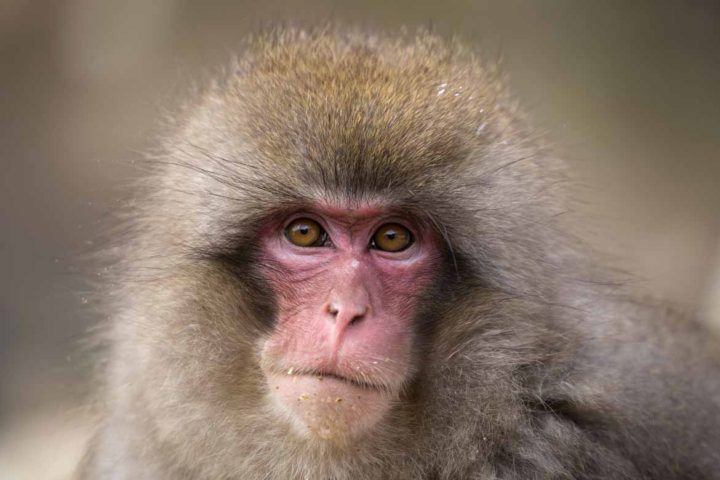 Red-crowned cranes, Ural owls, ice floes, Steller’s sea eagles, white-tailed eagles, Blackiston’s fish owls, the odd fox playing peek-a-boo amidst fields swathed in fresh, unadulterated snow… and of course, the Japanese macaques, also fittingly known as “snow monkeys”. Add to that list some excellent meals, a few dips in hot springs, one of Japan’s most famous festivals, a private audience with a maiko, traipsing around the ancient and modern alleyways and thoroughfares in Kyoto and Tokyo, and of course a ride on the bullet train, and you have one fine trip to write home about. But of all these highlights, which are my absolute favourites? My favorite destination was, surprisingly, the one I initially faced with the greatest trepidation: the Otowa-bashi bridge at Tsurui. Spending an hour on a bridge spanning a miraculously unfrozen river, from predawn, in minus-twenty-degree weather, sounded like special recompense for a terrible crime I forgot I committed. I planned to buy every twill and tweed sold on this planet in preparation, perhaps wrap myself in a mattress and set it ablaze. Unfortunately for those who would have benefitted from my collateral warmth, I instead decided to get some HEATTECH from Uniqlo (which possesses magical properties, like elven fabric), slapped a few adhesive heat stickers on the inside of my down jacket and I was plenty warm. These little heat pads are so inexpensive and effective, I bought around eighty for the whole group. Despite value-oriented tech coming to my aid, the internal thermostat is a moot point when the eyes bear witness to the sunrise from this well-chosen spot. The gradual, but visible, traverse of night to day perfectly parallels the emotional crossover from fear to awe; I never knew beauty to produce heat as it did in this instance. 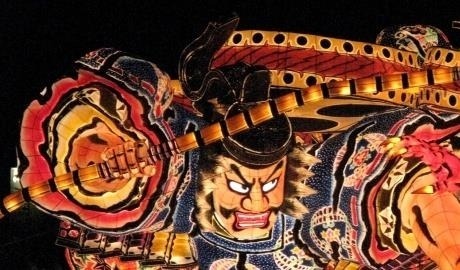 It was as if a curtain were being pulled back to reveal an exquisitely set opera or kabuki, or as if some greater-dimensional being, perhaps the sun, were playing with the luminosity and saturation sliders on our moving image. Everyone was dumbstruck, the only audible sound, apart from camera shutters and the squeaky-crunchy compression of snow and ice underfoot, was the flapping of wings from which this bridge gets its name: Otowa-bashi. No one in the group shot less than a thousand pictures that morning. 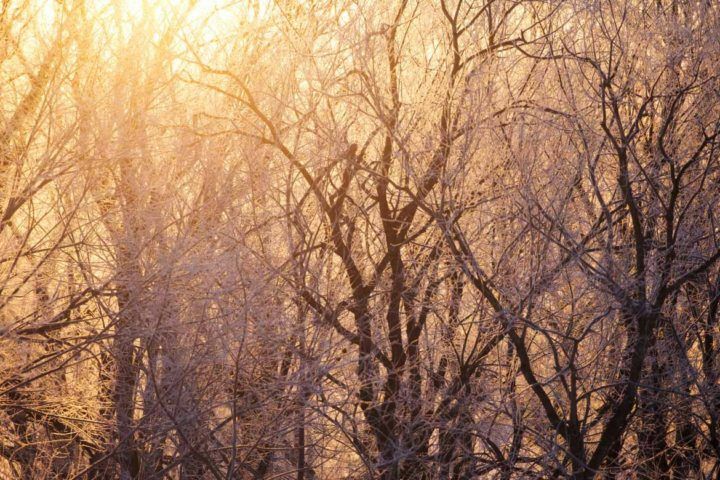 The sun ignited the trees, turning the frost every colour of warmth in the visible spectrum, as a flock of endangered cranes dance around – seemingly aware of just how awesome they look. You might think for a moment you’re looking at cherry blossoms – but in fact it’s just refracted sunlight, negotiating with the trees on its way to the steaming river. This tour in particular is chock-full of incredible experiences. Choosing even a personal favorite is impossible. But if I had to try for the benefit of readers, the best I could do is… no, I can’t, sorry, I’ll have to list a few more – but I’ll try to be quick about it. 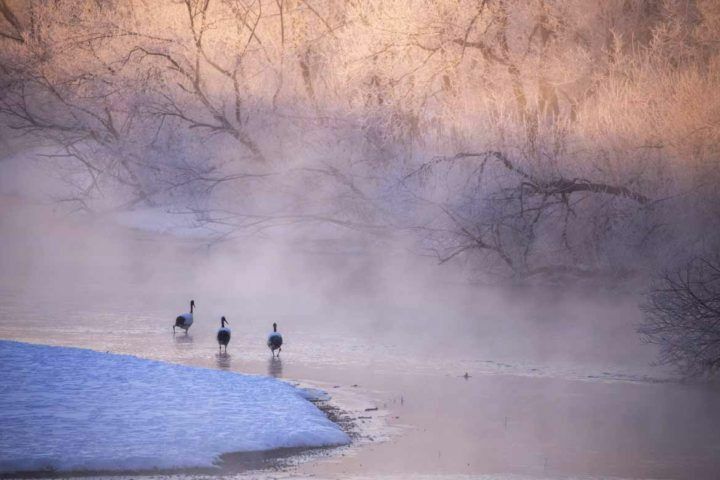 Okay, the day after Tsurui, where the heavenly sunrise took place, we made our way up the eastern coast of Hokkaido to Rausu, where truly enormous birds reside. Some of the largest birds presently in existence, actually. 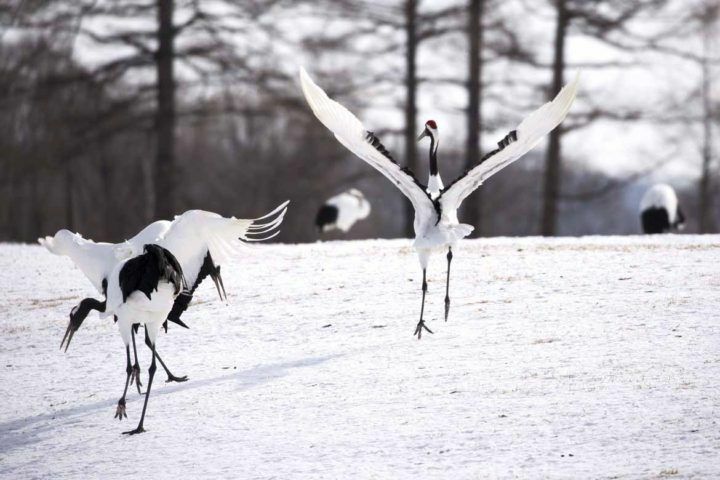 These are big birds; I can’t stress that enough. The fish they catch are about the size of a man’s arm. A boat takes you out to sea a short way, frozen fish are flung from deck, and you try your best to snap a prized picture of these regal raptors as they circle and swoop down to our world. 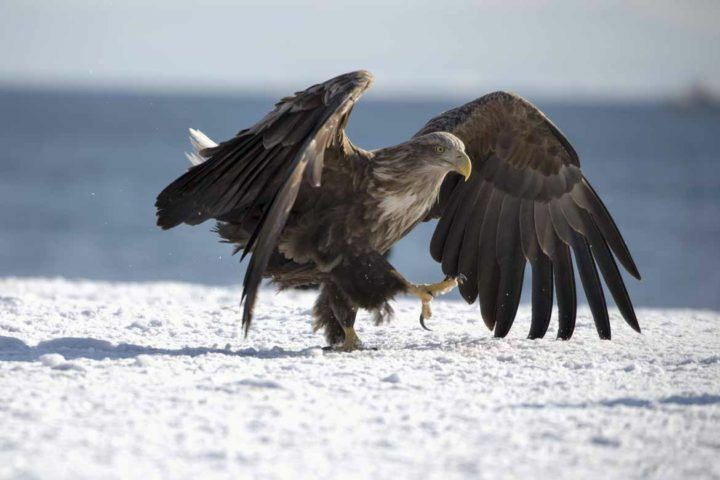 Both Steller’s sea eagles and white-tailed eagles make for an majestic show – but you only really realise that you’re amongst the feathered equivalent of a 747 on the return to port, when the boat takes you within a couple metres of these legendary creatures. Then you realise. They could eat you. Luckily they’re not interested. One could easily cause you grief, a couple could probably take you for a joy ride. What fantastic specimens. 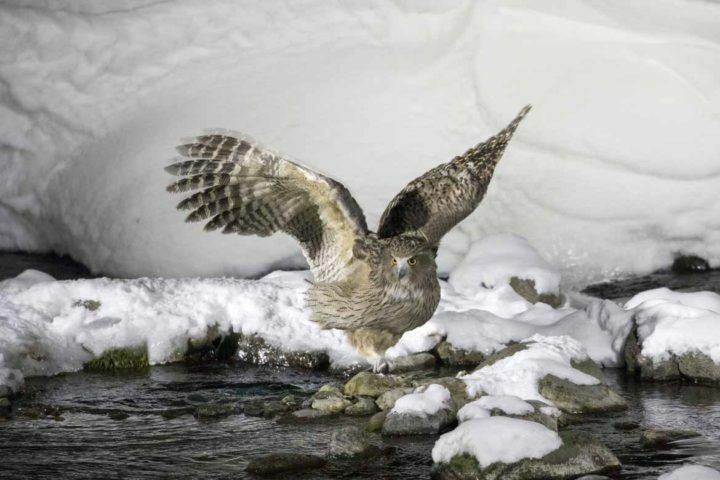 I could go on about the Blackiston’s fish owls that night, but should probably keep moving. He could eat you… but he won’t. 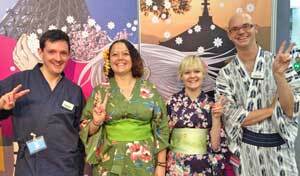 A private audience with a maiko is a real treat. The first time I got goosebumps. This is a members-only experience spanning centuries. 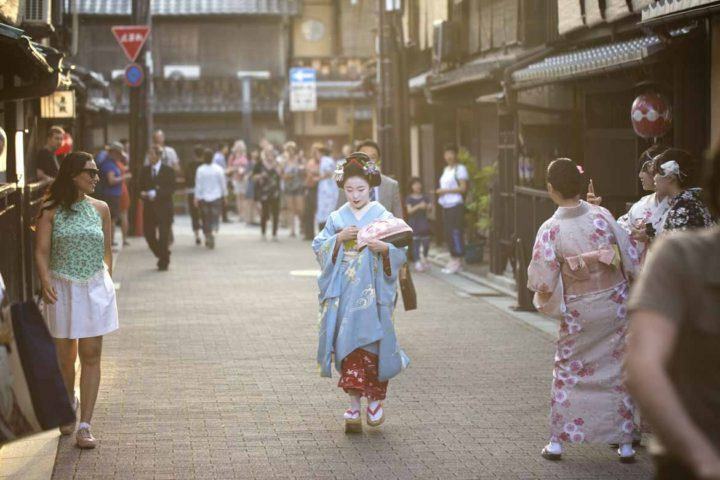 Maiko are apprentice geiko, which is the preferred nomenclature for geisha in Kyoto. This ancient capital city is the only place that still practices this time-honored tradition. 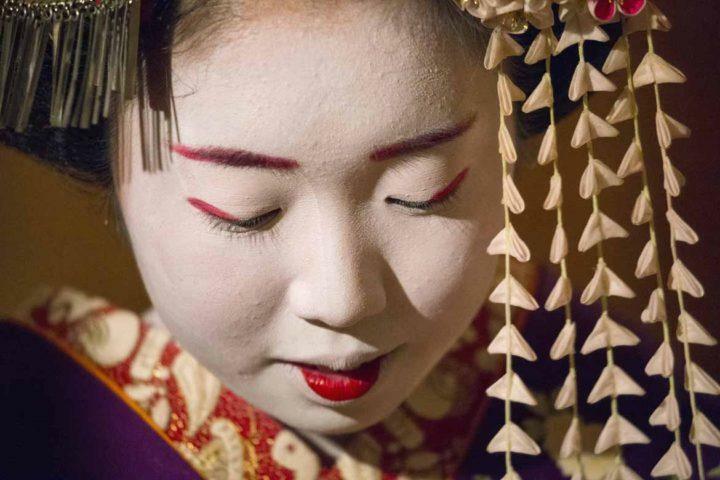 Throughout a maiko’s five-year career, subtle changes are made to their makeup, hairstyle, and dress to reflect the occasion, their rank, the seasons, and passage of time. Because of this, there is an element of wistfulness when you see a maiko. 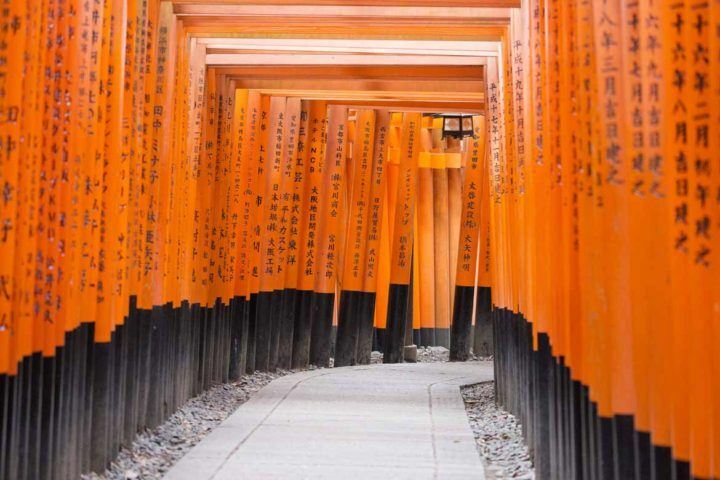 The Japanese term mono-no-aware, or an awareness of the transient nature of things, is represented beautifully by their very existence. The time you have together is special, for even if you are fortunate enough to revisit and see the same maiko again, she will look different. If you time it right, you may see maiko scurrying down the street between engagements, but when you have your own appointment, you can chat with her, take pictures together, play drinking games, she’ll dance for you and serve you tea, it is a wholesome and moving occasion. The maiko we visited just had her debut one week prior, so we felt extra privileged to be some of her very first guests. 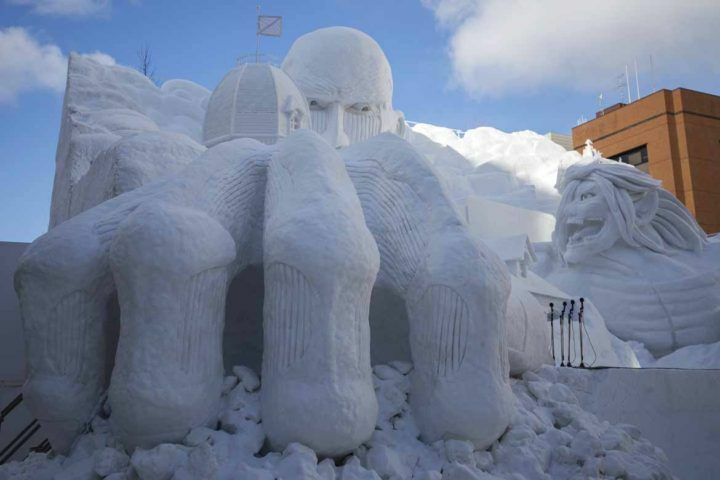 All that wonderful nature and culture aside, the Sapporo Snow Festival is the determining factor for this tour’s departure dates. 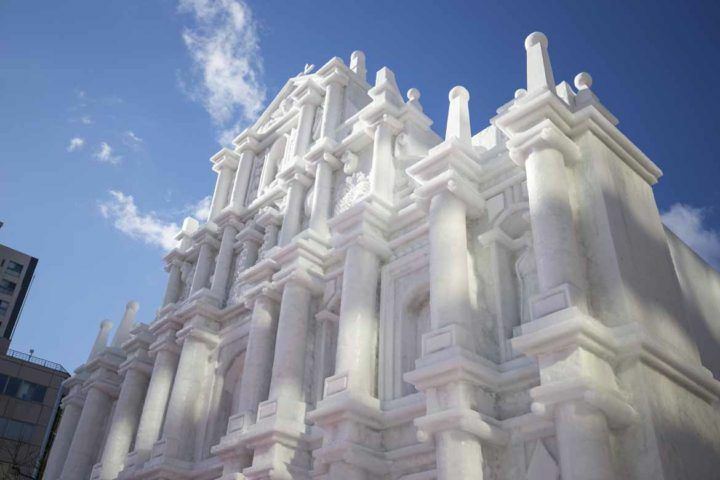 It is a good bit of fun, with millions coming from around the nation and world every year, and the best artisans intricately sculpting snow and ice into splendid works of varying size, up to the height of mult-storey buildings. It is one of Japan’s most famous festivals, but what I think of when I hear Sapporo is beer. Enjoy the oldest beer in the land, along with a few upstarts, at outdoor beer gardens and ice bars across the city – it washes down grilled mutton a treat, which is the other local speciality. In fact, an all-you-care-to-eat mutton barbecue is included at the Sapporo Beer Garden, inside the beautifully reconstituted brick brewery, where merriment is as bottomless as the food and drink. Yep, this is an extraordinary tour, and I invite you to join me on it next year! Has David inspired you to consider Winter Highlights? You can book a place on one of our tours by following this link. Please be aware that Winter Highlights is very popular and places sell out well in advance. 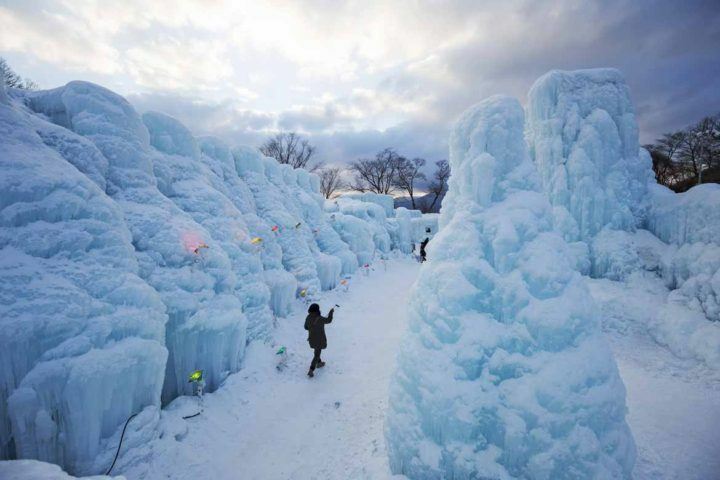 Alternatively, contact one of our travel consultants to begin planning your own bespoke winter trip. Japan is your oyster! All images are David’s own photography.